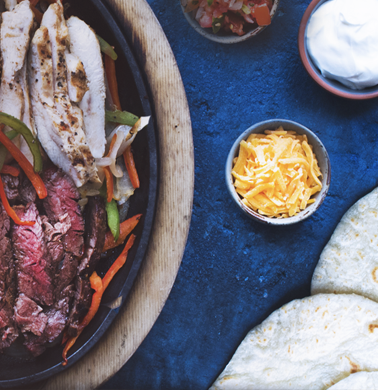 All fajitas arrive on a sizzling skillet of grilled peppers & onions piled high with a protein of your choice and served with fresh-baked tortillas, southwest rice, shredded lettuce, cheddar cheese, sour cream and pico de gallo and choice of side. Make it a skinny fajita and substitute tortillas for lettuce wraps! Corn tortillas available upon request. 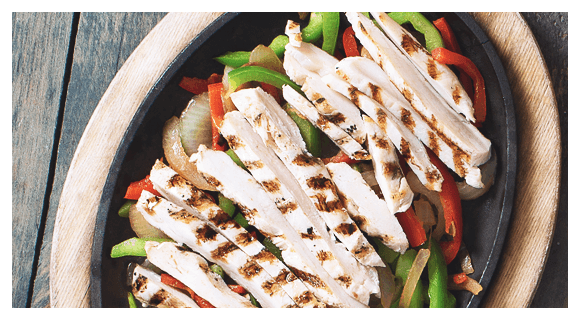 *Calorie counts are based on fajita protein choices, peppers and onions only. Fajita toppings and fajita sides are subject to additional calories.